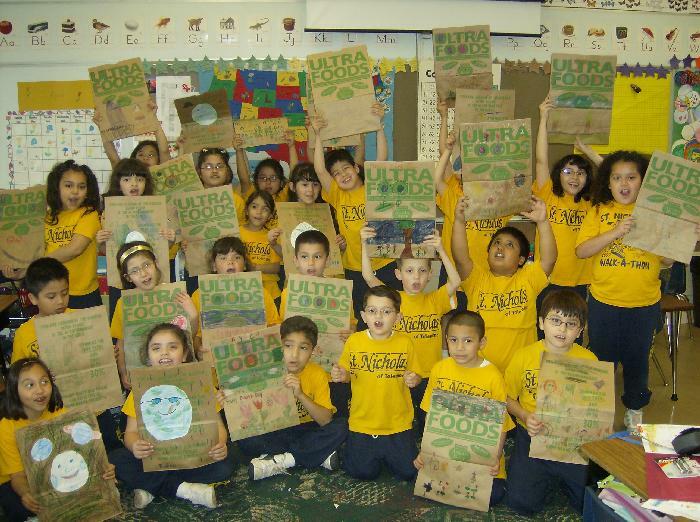 Students in the primary grades at St. Nicholas of Tolentine School in Chicago, Illinois worked hard on the Earth Day Bags project. 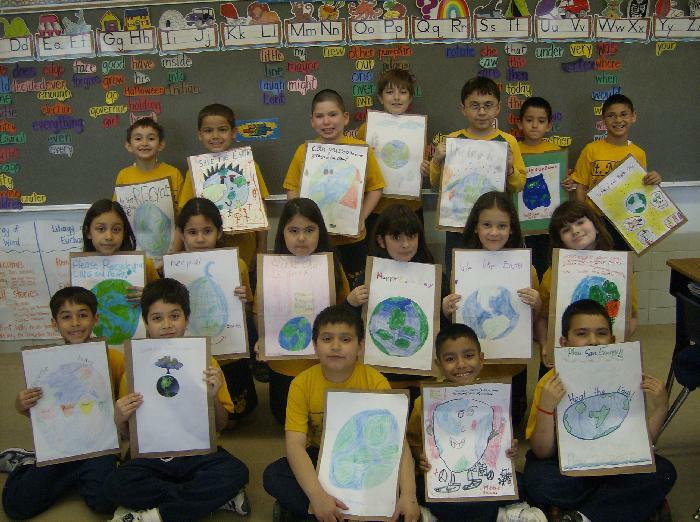 They were especially concerned about spreading the message of saving our Earth this year after adopting Hudson, a baby polar bear, at a local zoo. 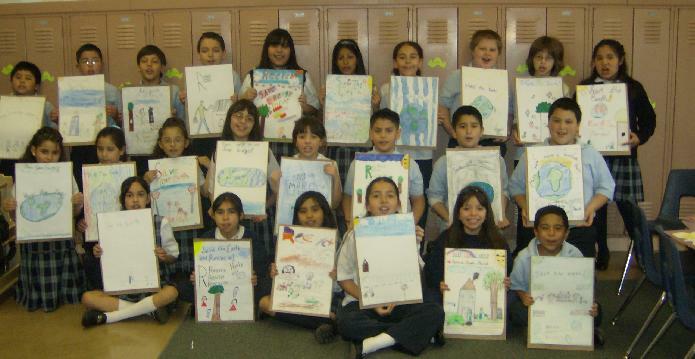 Students worry that if global warming continues, polar bears may not survive much longer!